Revolutionary point of sale activated PAYG SIM cards. epay is Europe’s leading expert for epayment solutions with a Retailer Network of 673,000 Points of Sale in 34 countries delivering over 1.29 billion transactions per year. Mobile Top Up for Pay As You Go customers is a significant element of those transactions. For mobile Top Up in the UK epay wanted to challenge the current technical and retail solution by exploring an improved, alternative method in the process that would benefit consumers, MNO and MVNOs and retailers alike. Livewire worked exclusively with epay Worldwide in the UK to develop this entirely new method of point of sale activated (POSA) SIM card. 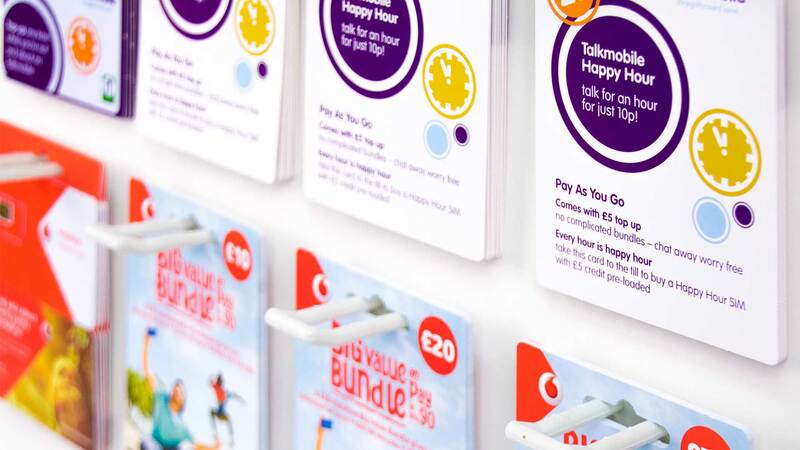 This unique solution is a true win-win, with the networks benefitting from 100% activation and top up value attributed for every card sold in retail whist the consumer gets connected and credit on their account at the same time negating the need to so go through the usual IVR journey and then top up separately. This removes the the need for consumer to either go online or go back into store. It’s all done seamlessly right there at the point if purchase un a single transaction. The technology to enable this new process utilises epay’s already widely integrated platform powering mobile Top Up along with gift and prepaid card activation at the point of sale. The two technologies come together uniquely for SIMPOSA. Livewire has developed a scalable, automated production process that allows for the SIM card, ETU card and activation data on a carrier to be 3 way matched producing a card that is very similar in its appearance to a traditional gift card. The production process is complex and is exclusive to Jellyfish Livewire and whilst the solution developed for the initial trials with Vodafone and Talk Mobile features the 3 separate components, a bespoke SIM card with 3 form factors, ETU and POSA solution in one single card body has been developed. 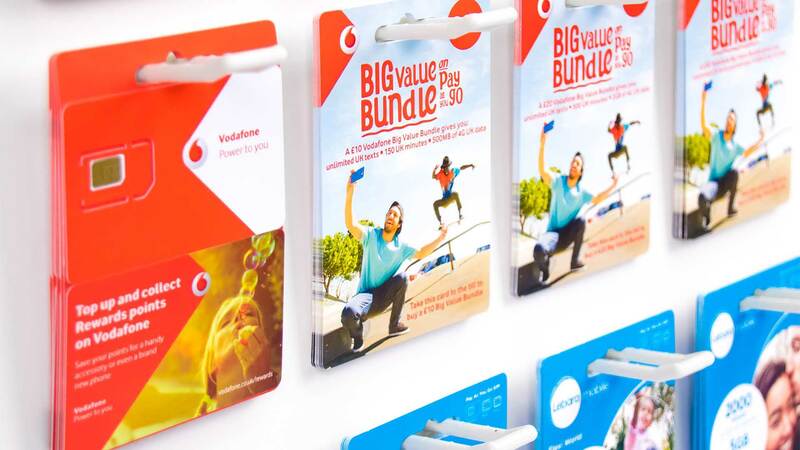 To date SIMPOSA cards have been successfully delivered for UK trials for Vodafone and MVNO Talk Mobile. SIMPOSA has also successfully been rolled out in the Australian market.